ELO's early output of hits and b-sides as originally experienced by the band's fans in their native U.K. 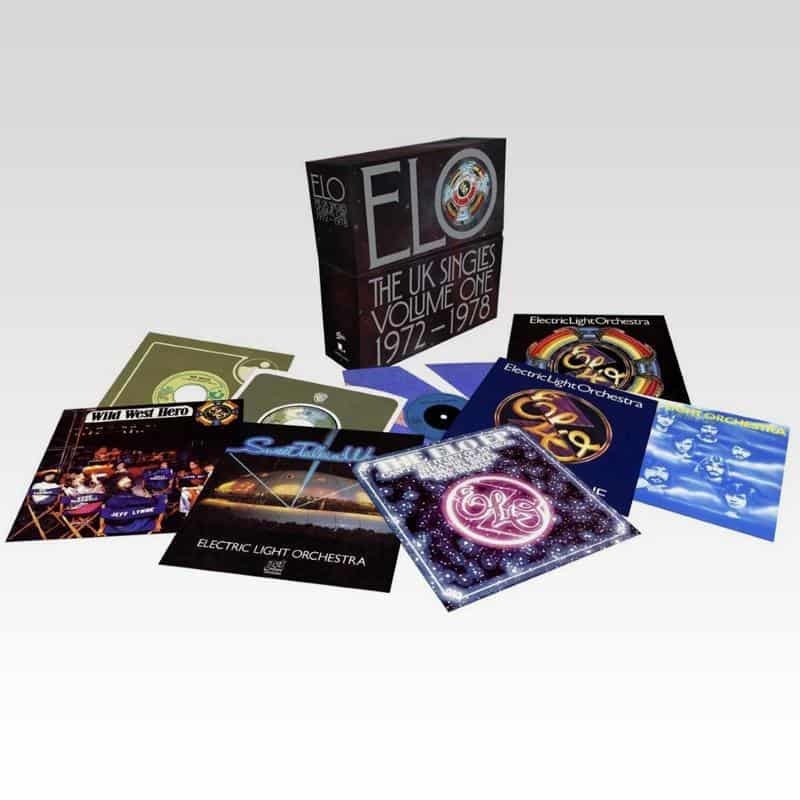 This collector's box set features 15 groundbreaking 45 RPM singles plus 1978's "The ELO EP" each fully recreated from their original releases more than four decades ago. All of the music on ‘The U.K. Singles Volume One: 1972-1978’ was remastered from the analogue source tapes while each of the 16 7" vinyl discs in the collection features detailed reproductions of the original sleeves and labels from the 1970s. Nine of these singles - including "Roll Over Beethoven", "Evil Woman", "Livin' Thing", "Telephone Line" and "Mr. Blue Sky" - reached the Top 10 of the British charts and remain among the world's most enduring classic rock songs. On rock radio and beyond, ELO's hits continue to permeate pop culture. In 2017, "Livin' Thing" was featured in a widely-seen advertisement for Volkswagen while "Mr. Blue Sky" underscored a pivotal scene in the Marvel Studios blockbuster Guardians Of The Galaxy Vol. 2. Disc 10 – Side A – Rockaria!